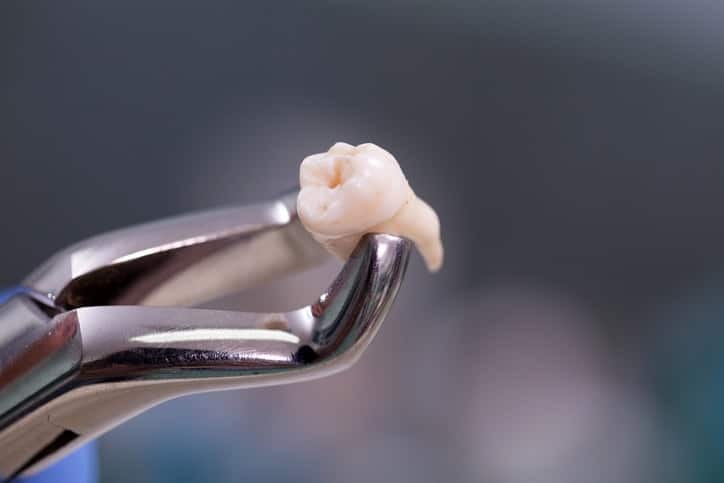 The idea of having one of your teeth extracted may be intimidating but tooth extractions are a routine dental procedure and they are nothing to be afraid of. Knowing more details about this oral surgery will help alleviate any nerves that come with it. Here is everything you need to know about tooth extractions. Simple – If the tooth is visible in your mouth, you will most likely be getting a simple extraction. Your dentist will need to loosen your tooth using a device called an elevator, they will then use forceps to remove the tooth. Your dentist will inject your gums with local anesthetic so you only feel slight pressure. Surgical – If your tooth hasn’t erupted from your gums or has curved, you will need a surgical extraction. Your dentist, or, in some cases, oral surgeon will need to cut open your gum slightly and partially remove the bone surrounding this tooth which will in turn remove the tooth. You will also likely need stitches in order for the incision to heal. 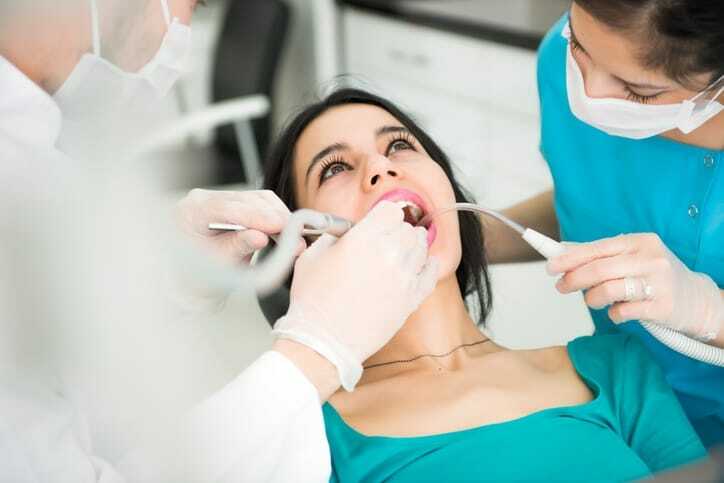 In a surgical extraction, depending on the severity of the situation the dentist may use intravenous anesthetic along with local anesthetic so you won’t experience any pain during the procedure. There are many reasons why you may need to get a tooth extracted. One of your teeth may be decayed or damaged beyond repair. A tooth may be infected and causing the infection to spread to your other teeth. You are getting a form of orthodontia like braces and need to remove teeth to make room for braces etc. Your wisdom teeth are coming in and your mouth doesn’t have room. Tooth extraction is typically a last resort if the tooth can’t be fixed with a filling, crown or another treatment. After your surgery, any bleeding will be controlled with gauze. A clot will eventually form in the empty socket. This blood clot helps the empty socket heal because it ensures the surrounding nerves will not form around it and irritate the gums. Unfortunately, if the blood clot doesn’t properly form, a “dry socket” can develop. This means the bone in your mouth is exposed to air or food or liquids while eating or drinking. Dry socket is a painful condition that can worsen and cause further complications. To avoid dry socket, you shouldn’t smoke, use a straw or do anything that causes unnecessary pressure near the incision site for up to a week after your surgery. If you do end up developing a dry socket, contact your dentist immediately so they can prescribe you antibiotics before it spreads. You will likely experience some light discomfort and swelling for the first day or two after your surgery. Depending on the severity of the procedure, your dentist will prescribe you pain relievers. Once you get home you can use ice on the exterior of your jaw to reduce swelling and alleviate pain. Never put ice in your mouth during recovery because the intense coldness will cause severe pain. You should also only eat soft food like room temperature soup, apple sauce or smoothies and avoid extremely hot or cold foods until your socket has healed. 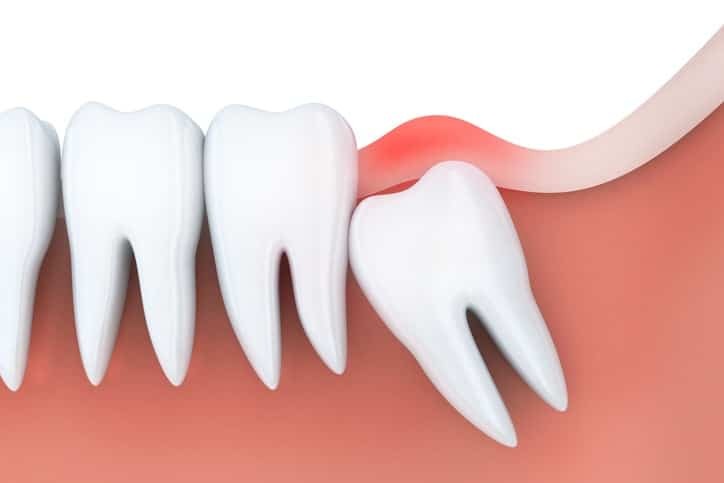 Also, to avoid any discomfort, exercise caution brushing your teeth or flossing because you may risk irritating the clot or even knocking it loose. Your gums should be completely healed in up to two weeks after your extraction. If you are still experiencing pain after this time has passed, speak to your dentist. Depending on the reason for your tooth extraction you may want to replace your missing tooth. 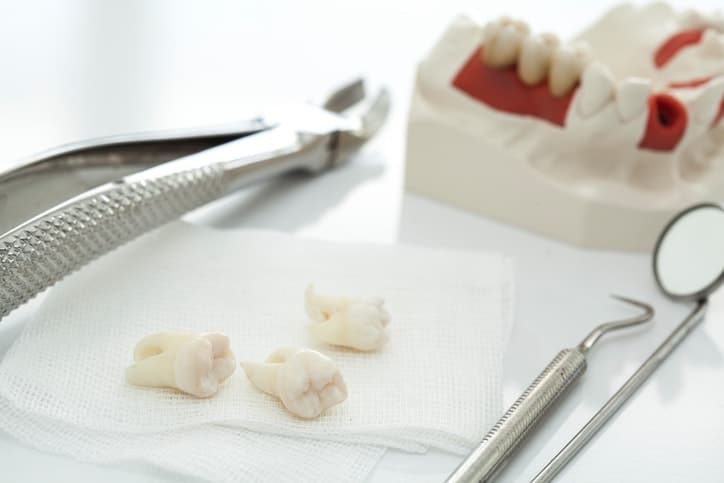 With wisdom teeth or teeth that were removed for overcrowding purposes, they weren’t necessary so you won’t need to worry about them once they’re removed. However, if the tooth was extracted because it was decayed or damaged, you may consider dental implants. They will make your smile look exactly like it did before the extraction and can also keep your remaining teeth from shifting in your mouth. If you have any pain or discomfort relating to your teeth, it can often be indicative of a more severe dental issue. At the first instance of any discomfort, contact Dental Implants Clinic as soon as possible so our talented team of dentists and oral surgeons can assess the situation and improve your dental health. We offer not only tooth extractions but additionally dental implants if necessary. Book a free consultation today.